This was a very promising year for real estate. It was a year of growth as the number of houses sold this year compared to last year is almost eight percent higher. The median sale price for homes in Maine also rose 5 to 7 percent, and in Cumberland County for June, July, and August the median price was up almost 10 percent over the same period in 2015. New construction also took off this year and is showing no signs of slowing down over the winter. 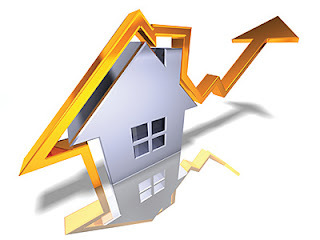 Buyer's confidence in the real estate market's continued growth coming out of 2015 played a big part in the overall success that the market had throughout the year. Low interest rates and slightly lighter restrictions from lenders also played a large role. Buyer's had more purchasing power, especially with programs like the Maine State Housing First Time Homebuyer Program with interest rates at 2.9 percent at times. Right now inventory is low for single family homes and the pool of buyers out there is still growing. If you pulled your house off the market because you think not many buyers want to purchase property in the winter, one could argue you are mistaken. People who are not serious about buying stop looking, but the buyers who are serious and need to purchase a home are out there no matter how deep the snow gets. So you may want to reconsider if you were one of the many who took your house off the market. 2017 looks to be another promising year of market growth and rise in pricing. We certainly have not gained back what we lost in 2007 and 2008, but we have gained some and will continue to do so over the upcoming years. A slight rise in interest rate will affect some buyer's purchasing power, but it won't slow the rise in home values very much. The demand is there and lenders will likely expand the debt to income ratio slightly with buyers who have exceptionally good credit. Thinking of buying a home but not sure if you should wait till spring to start looking? Now is the time to get in the game as prices will continue to rise throughout the next few years. There is less competition from other buyers right now, so you hopefully won't get into a bidding war. Also, sellers who have their homes on the market are serious about selling their homes and are generally open to reasonable negotiations. This means that if you make a reasonable offer you will likely have a deal. Need another reason to buy now and not later, how about the likelihood of another interest rate hike. Many strategists feel that it is inevitable that another rate increase by the Federal Reserve is going to happen, and more than likely to happen sooner than later. The tax benefits of home ownership are another reason to get in the game now. Most all home improvements are tax deductible and the interest is also a great deduction. One more great reason to buy is that it is probably still cheaper than renting since rental rates have also climbed over the last few years. Either way, buying or selling, I highly recommend you contact a local real estate professional that has experience and knowledge. Interview several Realtors, find one that you feel comfortable with and that listens to your needs and desires. They are going to be working both for you and with you, and looking out for your best interests. Having a professional with knowledge, experience, and creative negotiating skills will make the whole process smoother and get you to your goals quicker.